Is your healthcare organization struggling to cut down costs, reduce medical billing errors, improve cash flow, or enhance client satisfaction? Are you caught up with too many back-office tasks that you are unable to focus completely on patient care? Then, it is time to outsource medical billing services to an experienced service provider who can provide you with complete freedom to focus on patient care, reduce errors, and cut down costs. Outsource2india is one such medical billing outsourcing services company who can be your one-stop-shop for all your medical billing needs. Medical billing is our core competency and we can efficiently manage all your billing needs. Our medical billing specialists have over 20 years of experience with all key insurance payers including Medicare and Medicaid. Use the services of one of the top medical billing outsourcing companies to make your task less resource consuming. The patient list, a copy of the insurance card and demographic details are sent to us via email/fax or secure FTP. Our medical billing specialists call up the insurance company prior to the appointment. Pre-certification is done for specific lab tests, diagnostic tests, and surgeries. The details are sent to the hospital/clinic in the prescribed format. The medical billing specialists enter patient demographic details such as name, date of birth, address, insurance details, medical history, guarantor, etc. as provided by the patients at the time of the visit. For established patients, we validate these details and necessary changes, if any, are done to the patient records on the practice management system. 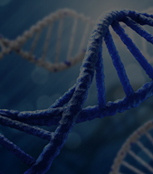 Our coding team works in accordance with CPT codes and ICD-10 Coding compliance, and consists of AAPC certified coders with over 2 years of multi-specialty coding experience. You may send us superbills with diagnostic notes with or without ICD and CPT codes. If codes are already provided on the superbill, they are validated by our coding team compulsorily to prevent any 'up-coding' or 'down-coding' and therefore, any denials.. The fee schedules are pre-loaded into the practice management system. CPT and ICD-10 codes are entered into the system. The billing specialists ensure that all details have been provided in the claim and ready to be filed. 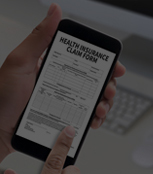 Claims are submitted electronically via the practice management system. However, we can process paper claims also. At this stage, a thorough quality check is done by a senior billing specialist and then submitted. The rejection report received from the clearinghouse if any, is analyzed and the necessary changes are done. These claims are then resubmitted. Scanned EOBs and checks are sent to our team for payment posting. All payments are entered into the system. The amounts from EOBs/checks and amounts posted in the system are reconciled daily. A daily log is updated with these data. All claims in the system are examined and priorities are set. First, the claims close to their filing limits and then work down from the age of the claim. Periodic follow-ups over phone, email, and/or online is done to get the status of each claim submitted to the insurance company. Denials management including analysis of denials and partial payments is done by our senior medical billing specialists. Payors, patients, providers, facilities, and any other participants are called to follow-up on denied, underpaid, pending, and any other improperly processed claims and the action is documented in the system. We will call patients, if authorized by the provider, to obtain information from the patient needed for billing such as ID# and to update the COB (Coordination of benefits) with their insurance companies. Secondary paper claims are processed and sent to the client office for submission. Reports can be customized and provided as per your requirements. 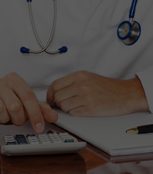 Why Choose O2I for Offshore Medical Billing Services? A leading Maryland-based company was looking for a quick and reliable medical billing service provider. We provided them with cost-effective services within a quick turnaround time. 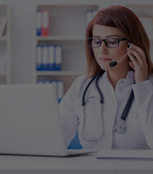 Outsource2india has been a leading provider of healthcare billing services and a plethora of other healthcare BPO services to its global clientele. We understand that building a successful practice is challenging in today's healthcare scenario. Regardless of the size or specialty of your practice, Outsource2india, a reliable medical billing company in India can provide you with a comprehensive and fully integrated medical billing solution. Healthcare providers across the US are facing challenges such as increasing regulations, increasingly complex coding, declining reimbursements and increasing operating costs. We understand that building a successful practice is challenging in today's healthcare scenario. Regardless of the size or specialty of your practice, Outsource2india, a reliable company offering medical billing services in India can provide you a comprehensive and fully integrated medical billing solution. Vinoth Kumar and his team have done amazing work and are extremely reliable. We definitely consider O2I a part of our strategic plans moving forward. Read our article on top 6 physician billing trends you can't ignore any longer. Outsource2india is one of the experienced medical billing companies and with us as your medical billing outsourcing partner, you can be sure of cutting down on operating costs while reducing the number of denials. Make a decision to outsource medical billing services today and give your healthcare practice a competitive edge. 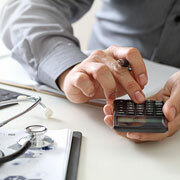 Contact us for outsourcing medical billing services to India.